The Greenville Public Library’s Craft Beer Education Series will look at the history of the Trappist order and the world’s 12 certified Trappist breweries. 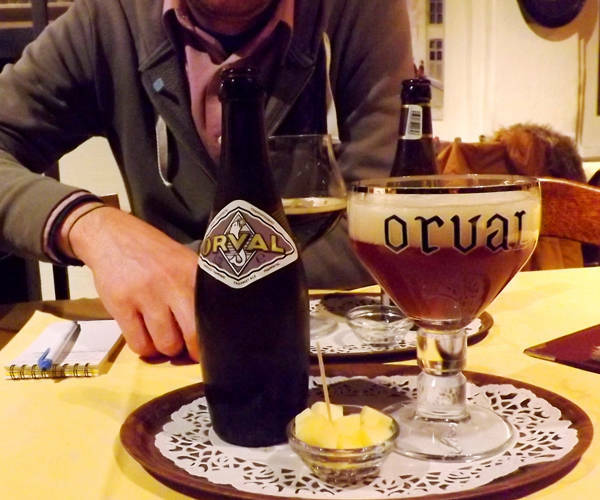 GREENVILLE – In a two-part series of classes, the Greenville Public Library’s Craft Beer Education Series will look at the history of the Trappist order and the world’s 12 certified Trappist breweries. Beer has been brewed at monasteries in Europe since before the Middle Ages, and one sect of the Benedictine Order, the Trappists, still brew beer commercially. Trappist breweries produce some of the most revered beers in the world, and an abbey must meet strict requirements to be certified as a Trappist brewery. There is rich history and tradition behind these beers, and their quality is a testament to the patience and commitment contained in the Trappist motto of ora et labora: pray and work. The Craft Beer Education Series classes will be led by Certified Cicerone David Nilsen. He will guide attendees through a tasting of beers from the world’s Trappist breweries, explaining what makes each unique. Part one of the series will be held on Oct. 30 and Nov. 1 (identical classes) with part two on Dec. 6 and a January date to be determined. These classes are free, but seats are limited, and registration is required. Patrons should call the Greenville Public Library at 937-548-3915 to reserve a seat.